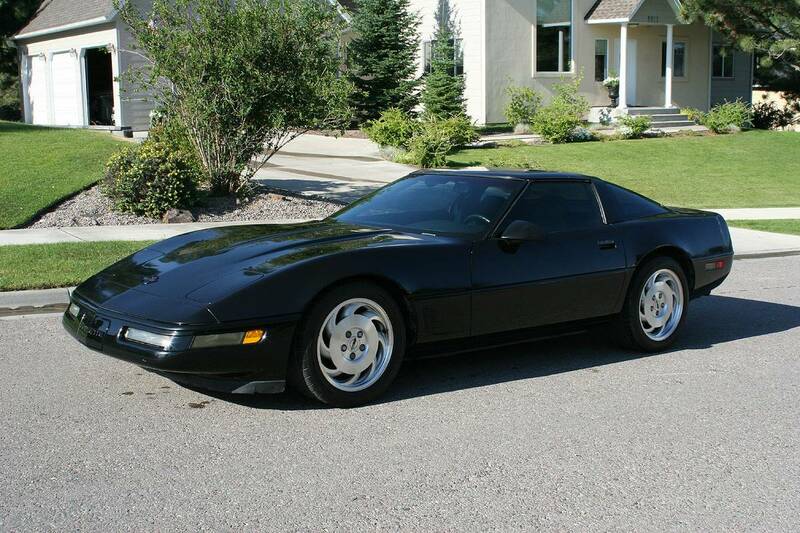 The forth generation Corvette, known as the C4, lasted a long 13 years, from 1984 through 1996 inclusive. 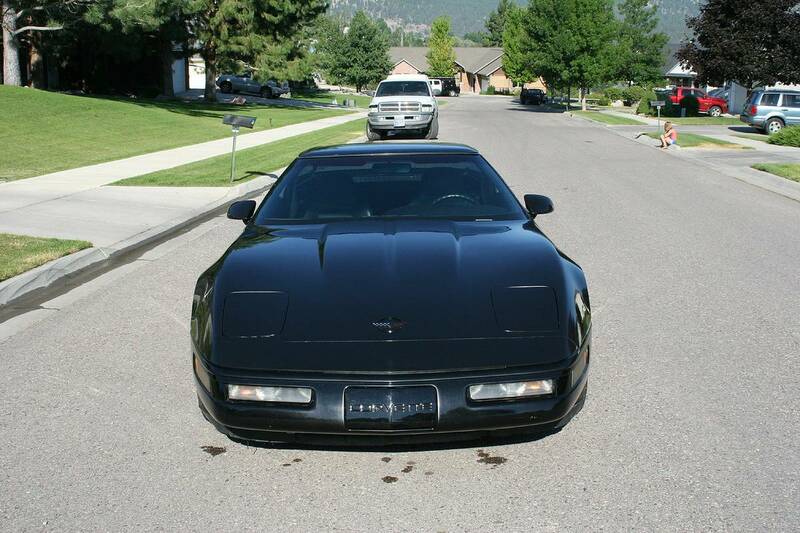 As the C5 was nearing production, the powers at GM decided they needed to try and keep the excitement alive after the demise of the legendary ZR-1 in 1995 and to hold enthusiasts over until 1997 when the C5 came out. So Chevy came up with the Grand Sport model with bright blue paint and wheel flairs… and one other trick, a powerful new LT-4 350cid power plant. 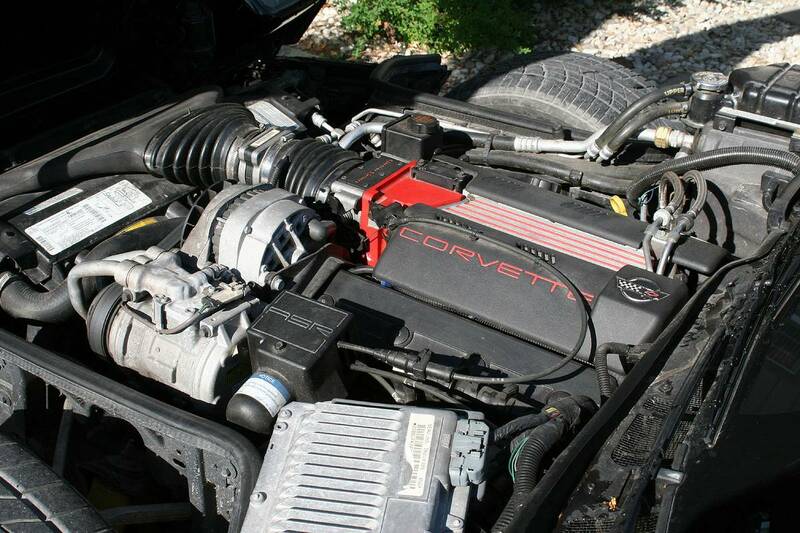 It was not the dual overhead cam 32-valve lotus special from the ZR-1, but it was still good for a conservative 330hp, and so it found its way to the Grand Sport as well as other non Grand Sport corvettes… but only if they were ordered with the 6 speed manual transmission. The automatic cars were stuck with only 300hp. If you wanted the power from the LT-4, you had to know how to drive a stick. 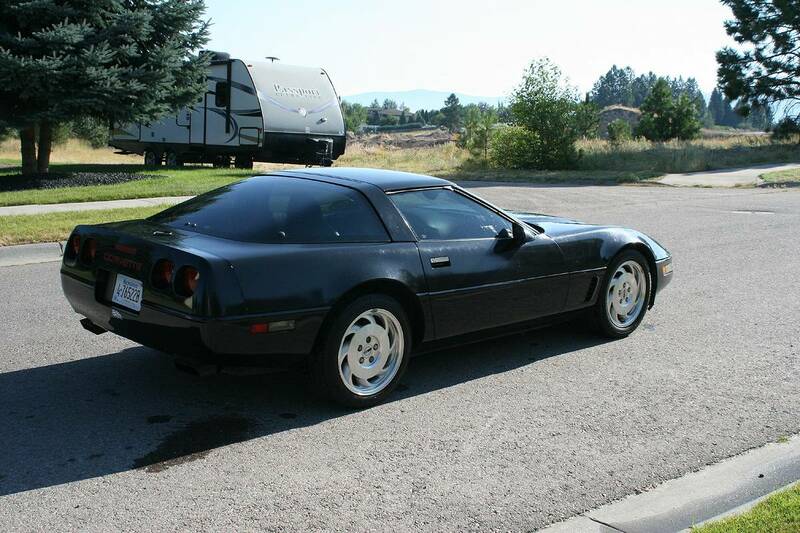 The 1996 Corvette we were able to find was a fairly plain Jane black one with black interior. 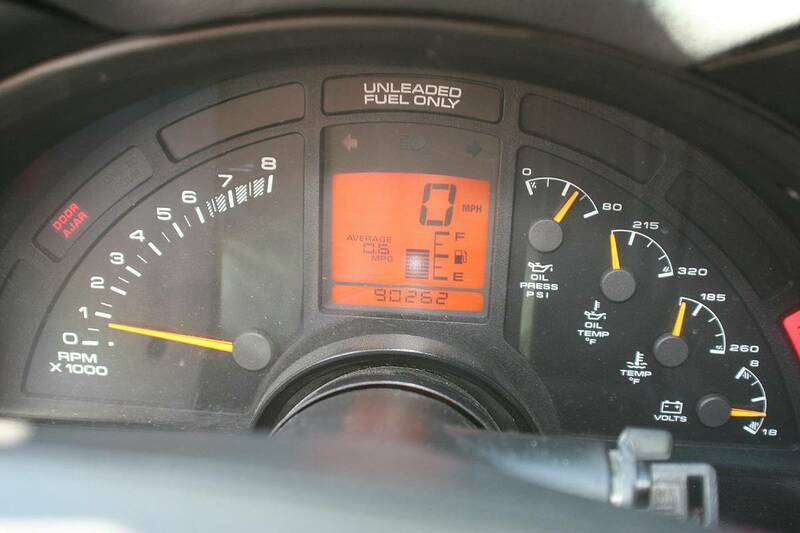 It had relatively low miles (under 92,000) and was in need of some tuneup work and other TLC to get it ready to have fun with and then eventually sell. We were hoping to find one with the Z-51 performance suspension package, but they didn’t make very many of those, so beggars cannot be choosers and we took this one. 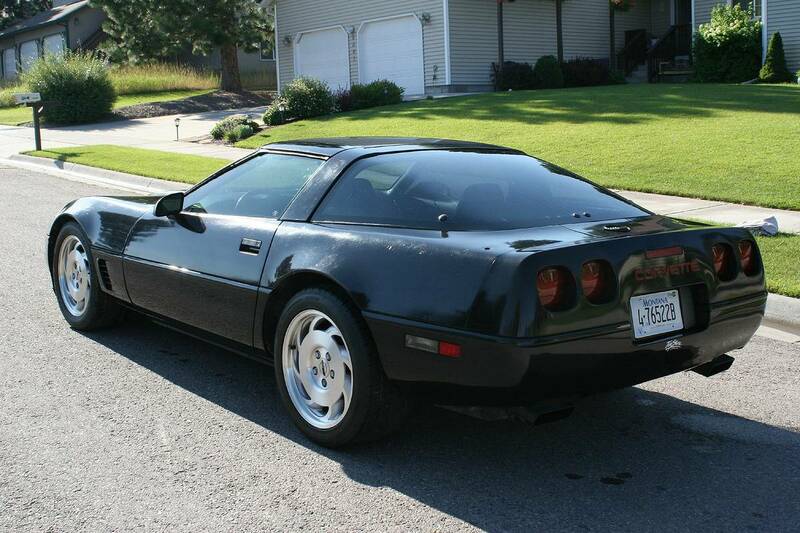 We recently had a 1981 C3 Corvette in our possession and going from the C3 to the C4 there is a huge difference. The 1996 car still feels somewhat modern and drives like a modern car, where as the C3 certainly feels classic. 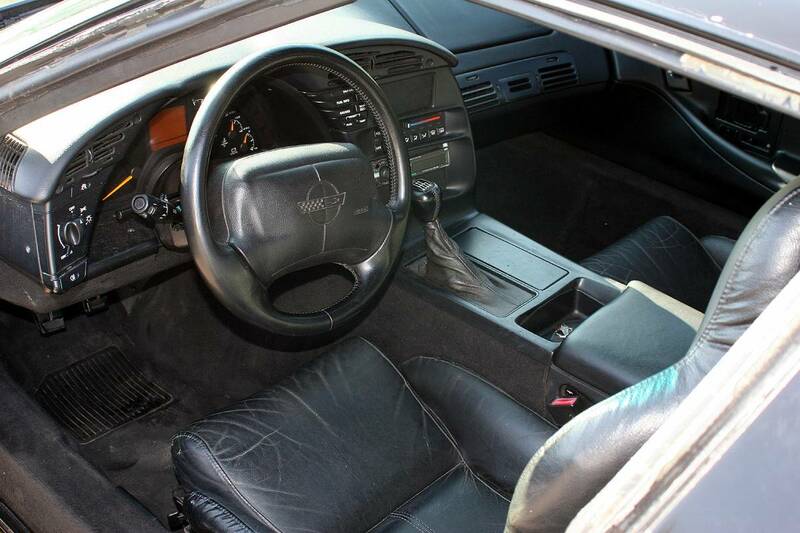 The first few years of the C4, the interior had all digital dashes and looked retro 1980s, but by 1996 they had reverted back to an analog tach and gauges with a digital speedo. 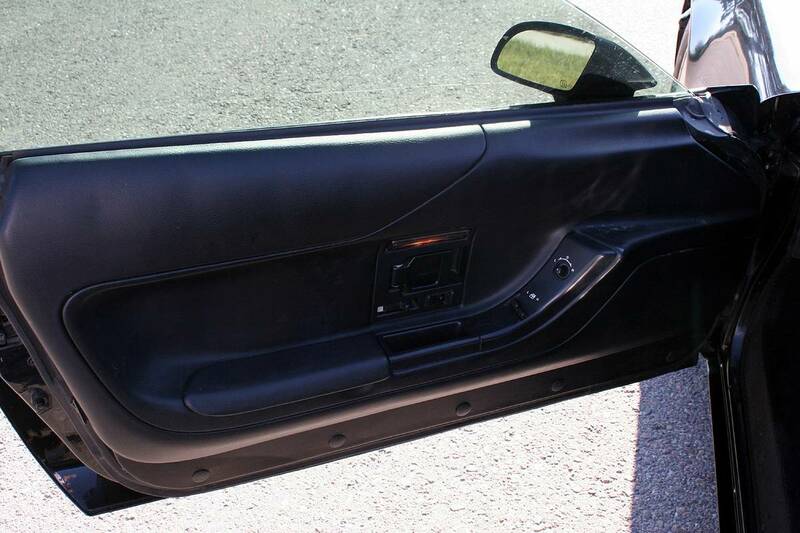 There is still a decent size door seal that you have to step over when getting in and you kind of fall down into the drivers seat… not very elegant, but not as bad as some other cars. The seats themselves are comfortable and this is another area where major changes happened through the life of the C4 cars and the later C4 seats are better than the early ones. There is the big center transmission and driveline tunnel but its not too intrusive. The LT-4 rumbles to life with gusto and has a very nice V8 burble to it at idle. The car really does sound very nice. The six speed manual transmission has long throws but the gears are easy to find and while shifting is not lightning fast or silky smooth, it gets the job done and is not bad. The pedals are close enough together that some heel-toeing can be achieved without too much trouble, though they are not perfectly placed for optimal track use. The leather wrapped steering wheel is also decent and the rest of the controls fall into place where you would expect them on a car from the 1990s. The LT-4 provides a good amount of torque down low and the car pulls very well from a standstill. There is good power throughout the range which really makes the car fun to drive. The view over the hood is better than a C3, but you still cannot see the front so care needs to be taken when parking. As mentioned, the car feels more modern than classic and the experience was actually quite nice and the car is very fun to drive. 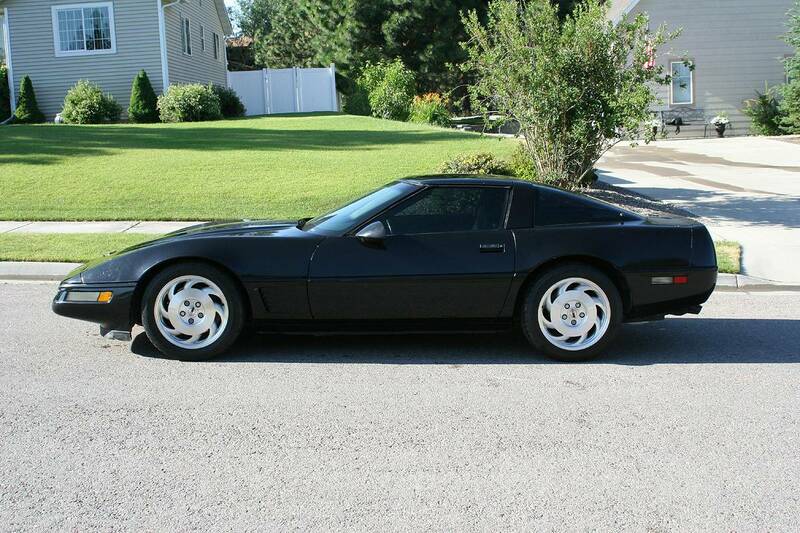 There is a stark difference between a C3 and C4 corvette in almost every way. 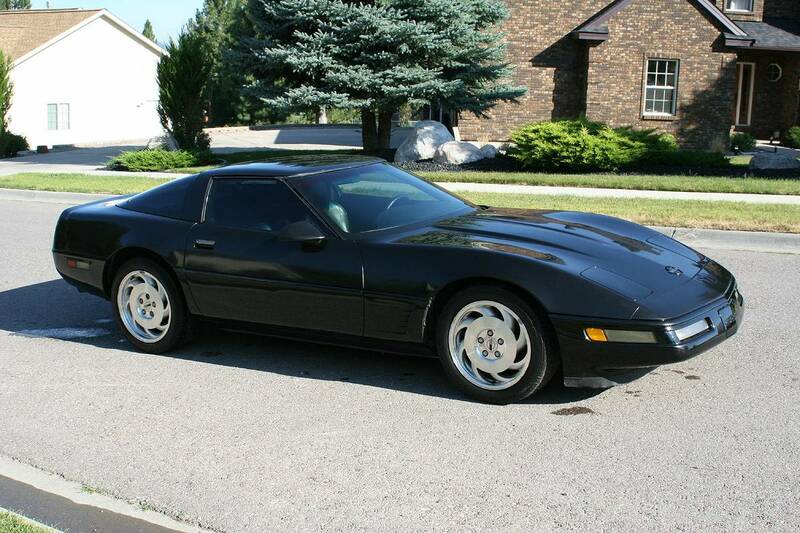 The refinement is night and day better than the old classic C3 Vettes. This 96 could easily be used as a daily driver, a track car, or weekend cruiser. It would fill all of the roles with equal ease. The steering wheel communicates what is happening to your hands much better than most of the new modern electrically assisted steering boxes, which is one area where progress has hurt the driving experience with really modern cars. This Vette did not have the stiffer Z51 or Z52 suspension packages, so the ride is not bad at all, yet it still has well above average handling capability. If one really wanted to use it as a track car, finding one with the Z51 would be the better route unless you wanted to replace the suspension with an after market setup. That is one option as the C4’s are still at the bottom of their depreciation curve so their purchase prices are very affordable yet the cars can really come alive with some moderate tuning to engine and chassis. We were pleasantly surprised with how enjoyable the car is to drive and with the visibility from within. The hood is a clam shell style so it makes an impression when the entire front lifts up. The rear hatch also lifts providing easy access to the contents in the rear, but we don’t pay much attention to things like that, as we just want to drive the car! 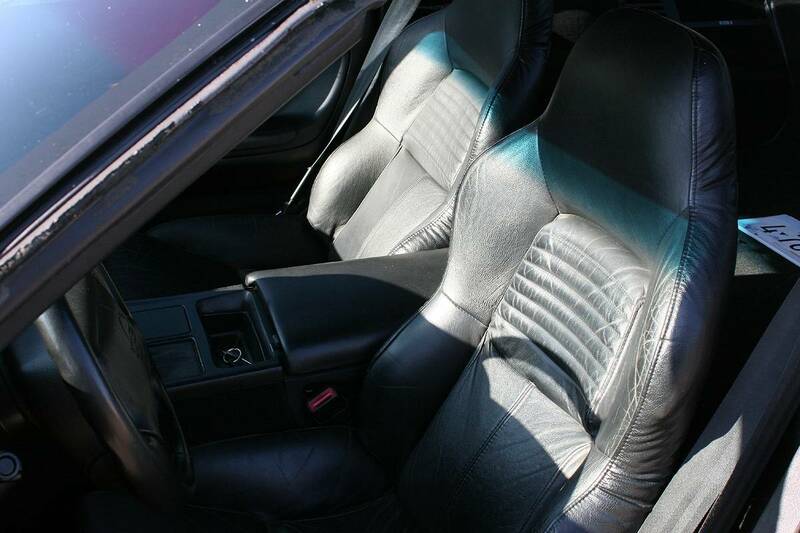 Overall, it is a fun and very affordable 1990’s sport car. It still performs well by today’s standards and at some point in time they will begin to appreciate as well and become a classic, but that might be a decade or two away still. Until then, they are a pretty good performance bargain. 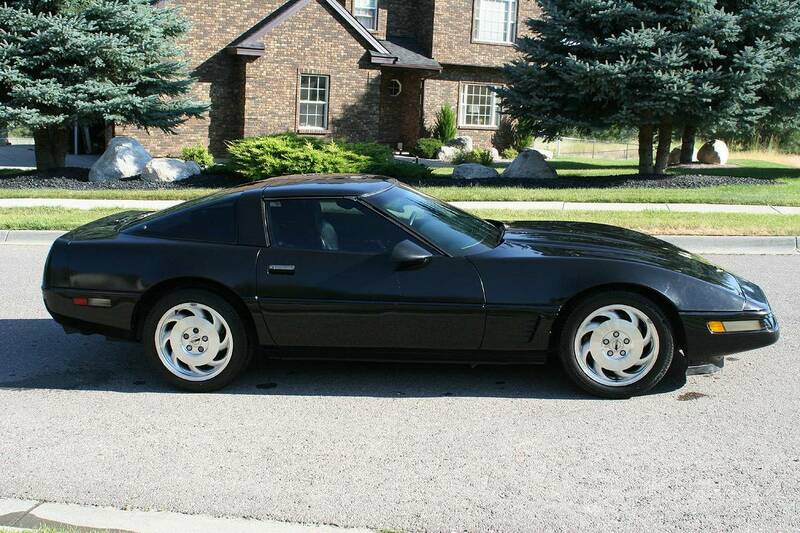 Buy a good one, like an LT4, and drive the tires off of it!